Welcome to the newsletter for our Friends and Family. We will publish every two months so you can follow along with the expedition planning and progress. 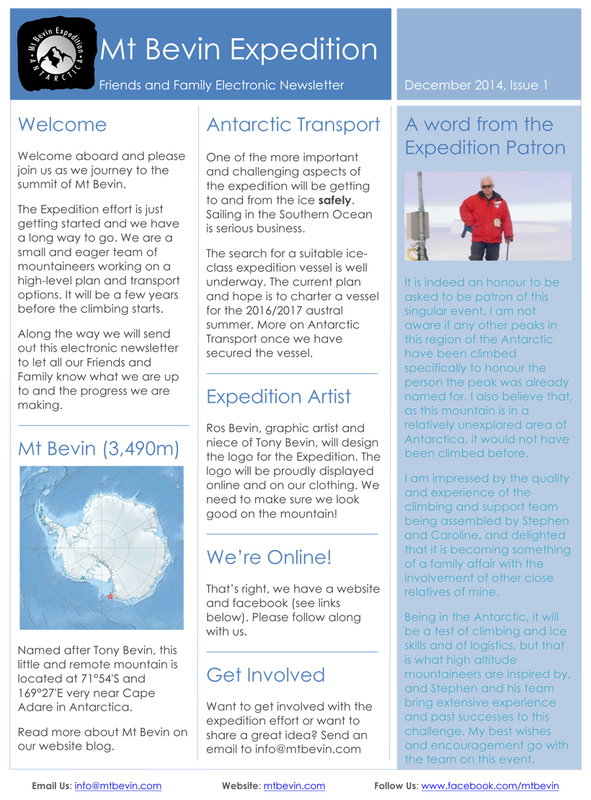 If you are having trouble reading the newsletter, just click on it to get a better quality version. If you would like to receive these newsletters automatically via email, you can subscribe to our mailing list.